Slogans, promises, guarantees—the automotive world is full of them. 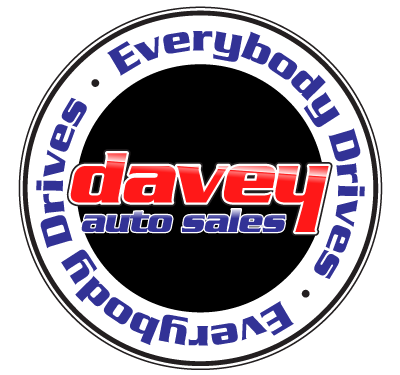 Here at Davey Auto Sales, we understand what it takes to make sure that you are happy with the vehicles we sell and the service you receive. Providing you with the best possible value and exceeding your expectations is the reason why we’re here. We’re a family-owned dealership for three generations and we’re not interested in all the hype. Our goal is to provide clean, reliable, and affordable used vehicles to the people of Oshawa and the GTA. So, what makes us different? At Davey Auto Sales Everybody Drives. That’s more than just a slogan; our finance team is dedicated to finding the right auto loan for you, no matter your financial or credit history. Everyone deserves to drive a reliable vehicle, and when you come to Davey Auto Sales we make that happen. Whether you’ve gone through a divorce and are strapped for cash, are a student without a credit rating, or have gone through other circumstances that have negatively affected your financial situation, we can help. Our finance team will work hard to find a loan with affordable monthly payments, so you can drive off in a reliable used vehicle. We take an incredible amount of pride in offering only the cleanest used cars, trucks, vans, and SUVs available. Before any vehicle is put up for sale it goes through an extensive inspection and must meet our high standards. All vehicles on our lot are cleaned and reconditioned to the point where we can confidently claim they are the cleanest used vehicles available. Period. When you drive away in a Davey used vehicle, you’re driving away in the cleanest car, truck, van, or SUV possible. If you’re shopping for an affordable and reliable used vehicle, there is only one place to go and that’s Davey Auto Sales. If you’re ready to drive, contact our team today.